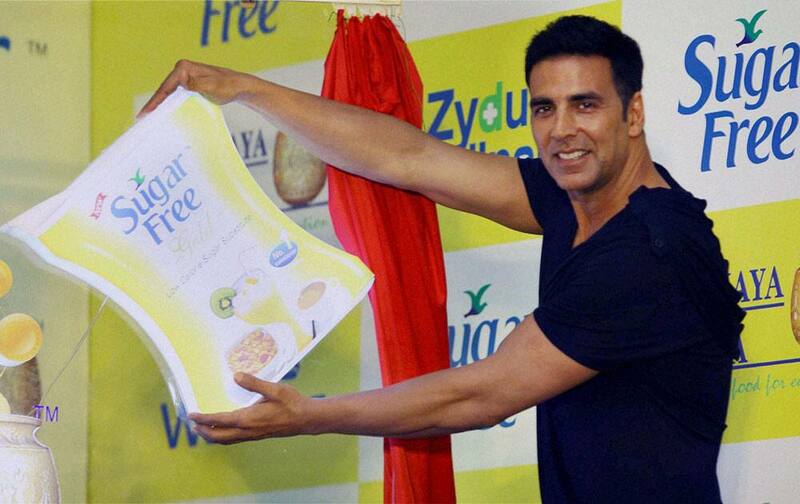 Bollywood actor Akshay Kumar at a campaign in Mumbai. Femina Miss India 2014 Zoya Afroz walks the ramp at a fashion event in Chennai. Bollywood actors Aditya Roy Kapoor and Pareeniti Chopra taking Gujarati lunch during a promotional event of their up coming movie Daawat-e-Ishq. Bollywood actor and brand ambassador of Cancer Patients Aid Association [CPAA] Vivek Oberoi celebrates his Birthday along with the Cancer Patients in Mumbai. Madhya Pradesh Chief Minister Shivraj Singh Chouhan with Bollywood actress Rani Mukerjee during inauguration of Film Festival in Bhopal. A model walks the ramp at the Kochi International Fashion week. Actress Kate Winslet seen at the premiere of `A Little Chaos` at Roy Thomson Hall during the 2014 Toronto International Film Festival. Beyonce and JAY Z perform during the Beyonce and Jay Z - On the Run tour at Stade De France. Miss Alabama Caitlin Brunell uses an umbrella during the rain at New York Ave. Miss America Parade, Atlantic City Boardwalk.